Classic design and plush comfort converge. 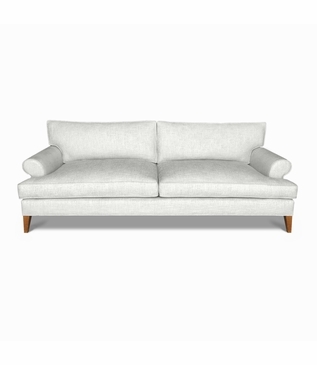 Shown upholstered in a neutral fabric with self-welt detailing and deep seating, this Kelly Sofa can be designed as bold or subdued as you desire. Shown with legs finished in our Honey stain in a semi-gloss sheen. 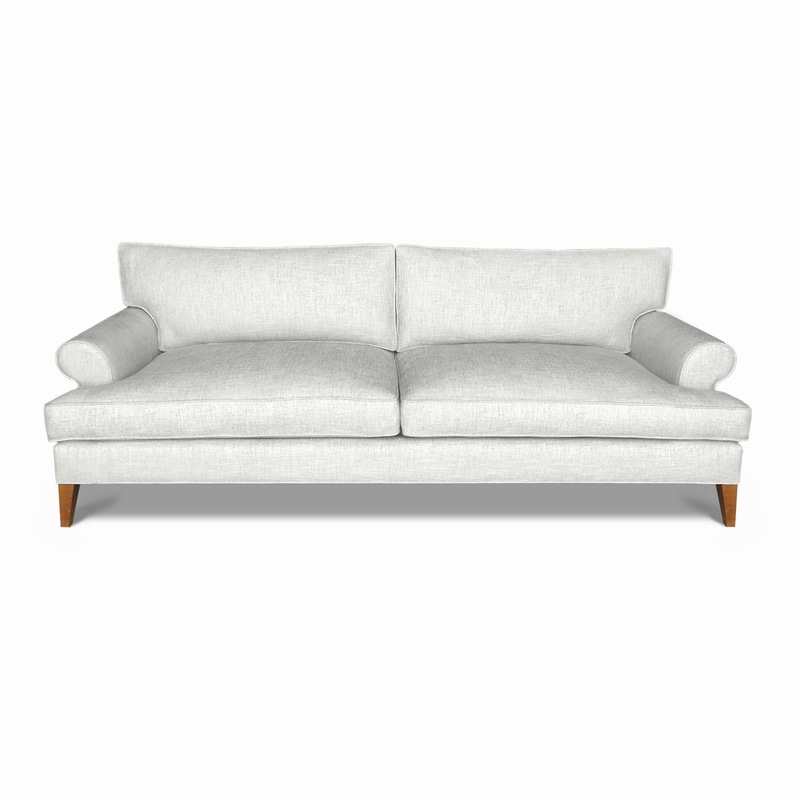 As with all pieces from our Custom Furniture Collection, this sofa is made-to-order in Los Angeles and can be infinitely customized. Choose your own dimensions, wood type, finish, fabric or leather. Also available in customer's own material (COM). For pricing, please call, e-mail, or submit an online quote request. Dimensions: W: 92" • D: 38" • H: 34"